A rate "lock" or "commitment" is a lender's promise to lock in a specific interest rate and a particular number of points for you for a certain period of time while your application is processed. This keeps you from going through your whole application process and learning at the end that the interest rate has gotten higher. While there might be a choice of rate lock periods (from 15 to 60 days), the longer ones are typically more expensive. The lender can agree to freeze an interest rate and points for a longer period, like 60 days, but in exchange, the rate (and sometimes points) will be higher than that of a rate lock of fewer days. In addition to opting for a shorter rate lock period, there are several ways you can attain the best rate. The more the down payment, the better the rate will be, since you will have more equity from the start. You can pay points to bring down your interest rate over the loan term, meaning you pay more up front. One strategy that is a good option for many people is to pay points to bring the rate down over the life of the loan. You'll pay more up front, but you'll come out ahead, especially if you don't refinance early.  At Washingtonian Mortgage, LLC, we answer questions about this process every day. Give us a call at 410-451-2755.